With the increasing popularity of the paleo and keto diets, carbohydrates have been getting a bad rap. It’s important to remember that carbohydrates are a macronutrient, not a food group. Not all carbohydrates are equal, and I find it unfair to grains like brown rice and quinoa that they get lumped in to the same category as highly processed, sugary breakfast cereal and stale, packaged cupcakes. Despite what their ad executives would like you to believe, those little “o” shaped pieces of cereal are not whole grains! 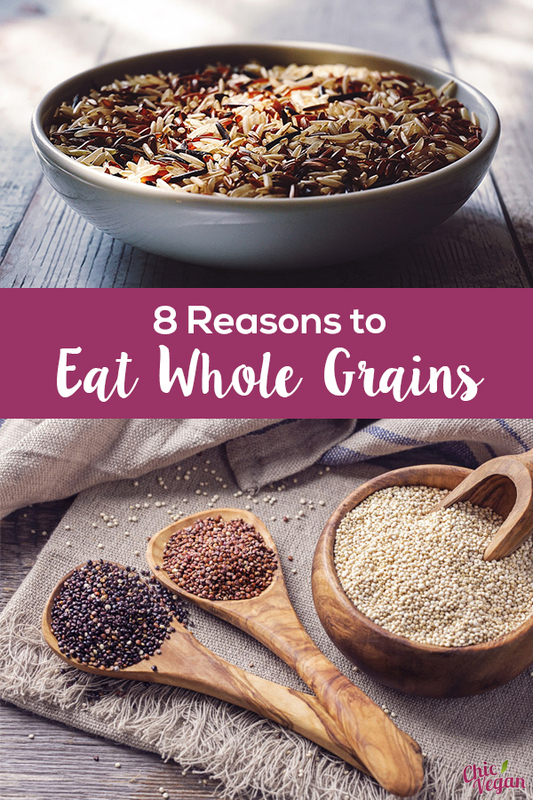 The whole grain category includes include foods such as quinoa, brown rice, barley, millet, amaranth, buckwheat, wheat berries and spelt berries (also know as farro). The truth is that whole grains have been a main part of the human diet since early civilization. When it was discovered that grain crops could be harvested and eaten througout cold weather months, people ceased being hunter-gatherers and settled down into farming communities. People living in these communities—on all continents—had lean, strong bodies. Each region had their own staple grain: corn in the America, rice in Asia sorghum in Africa and buckwheat in Russia. In the Middle East, people made pita bread, tabouli and couscous from wheat. In Europe, corn, millet, wheat, rice, pasta, dark breads and even beer were considered health-providing foods. People were rarely overweight. So why eat whole grains? They’re actually very nutritious! Here are just a few reasons why they should be part of your diet. Energy. The body absorbs the nutrients in grains slowly, so they provide sustained and high-quality energy and help regulate blood sugar. Fiber. 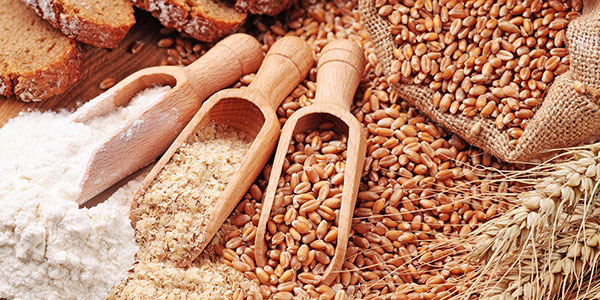 Whole grains are high in dietary fiber, so they will keep the body “regular” and help flush out toxins. 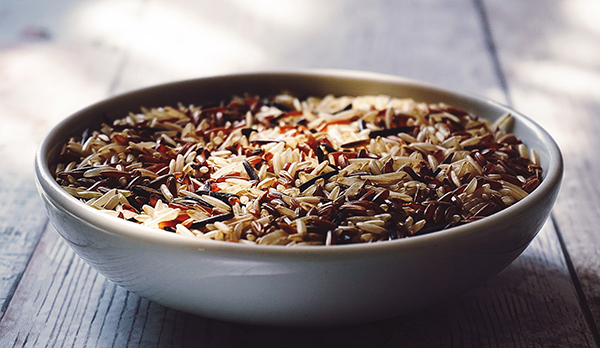 Studies have shown that grains can contribute to gastrointestinal health. Vitamins. While the vitamin content varies from grain to grain, most are high in Vitamin E and B-Complex vitamins. Minerals. The mineral content also varies from grain to grain, but they can be high in iron, magnesium, selenium zinc, potassium, and calcium. Protein. Most grains are high in protein. 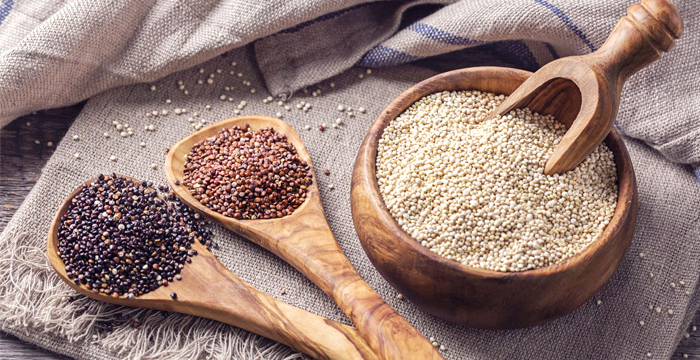 In fact, quinoa contains all eight essential amino acids, making it a complete protein. Half a cup contains 11 grams of protein! Weight Management. The fiber in whole grains can help you feel full with very little calories. Some of the B vitamins found in grains, such as thiamin, riboflavin, and niacin, play a key role in metabolism, as they help the body release energy. Stress Management. The B vitamins found in whole grains are essential for a healthy nervous system. Disease Management. Studies have shown that the fiber found whole grains may help reduce blood cholesterol levels and may lower risk of heart disease, obesity, and type 2 diabetes.